It is estimated that there are nearly half a million truck accidents every year. 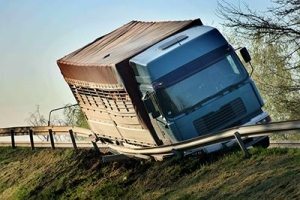 With semi-trucks weighing anywhere from 10,000 to 80,000 pounds and the average automobile weighing around 4,000 pounds; the damage these trucks can do is unimaginable. An accident involving one of these trucks will undoubtedly lead to severe injuries, sometimes even death; while the drivers of these trucks usually walk away unharmed. With the help of a Kansas City truck accident attorney who is experienced in insurance claims and in defending the rights of accident victims, you can recover the compensation that you deserve. Compensation may include payment of medical bills, pain and suffering, lost work wages, and a temporary vehicle replacement. Bringing suits against these negligent truck drivers not only brings compensation but also causes them to increase safety regulations and guidelines, preventing future accidents. If you or a loved one has been in an accident involving a truck or tractor trailer, please contact Paulus Law Firm at (816) 237-8502 for a free consultation.